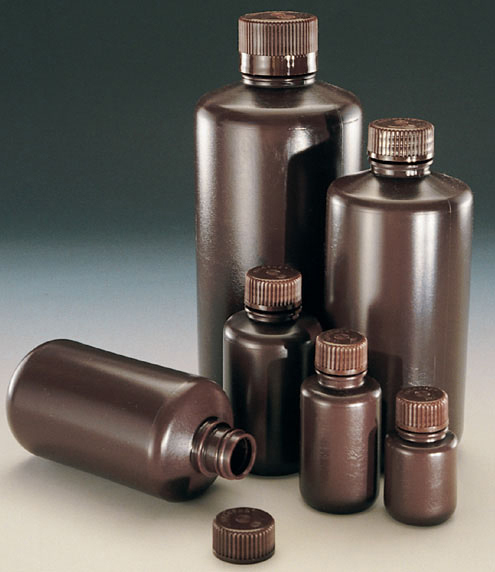 Nalgene Lab Quality Amber Narrow-Mouth Bottles reduce UV light transmissions to protect light-sensitive liquids. Useful for storage, shipping and packaging. Excellent chemical resistance to most acids, bases and alcohols. Includes: Amber polypropylene screw closures. 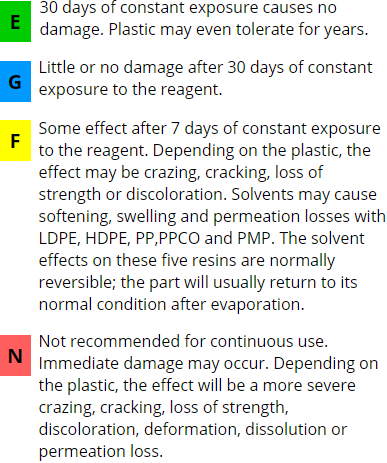 Notes: Nalgene LDPE, HDPE, PP and PMP containers can be used for long-term storage, but direct UV exposure should be avoided. Product meets the requirements for light-resistant containers per USP latest edition.